Richard A. St. Jean, Jr. 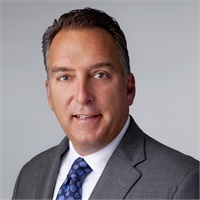 Partner Richard A. St. Jean, Jr., CLF, is the CEO and Managing Partner of Commonwealth Financial Group -a member of the MassMutual Financial Group. The firm specializes in helping Business Owners, Executives, Professionals, and their advisors achieve their financial goals. Commonwealth Financial Group has developed a unique financial planning process that guides businesses and individuals to make the important financial choices in their lives. The firm is recognized in the industry as a great provider in Wealth Management, Estate Planning, Business Succession Strategies, Retirement Planning, and Asset Protection, as well as their insurance and investment strategies. CFG has a long history of helping advisors reach new levels of success. Their commitment to training and developing professionals has become an industry standard. Rick remains actively involved in coaching his team on best practices for achieving unlimited growth and he is a sought out speaker both in and out of the industry on entrepreneurial topics, including "Taking Your Practice to the Next Level", "Strategic Business Planning", "Attracting to a Higher Profile", "Marketing to Better Clients", "Being the Best You Can Be", "The Art and Science of the Business Market", and "From Success to Purpose". Mr. St. Jean has earned many industry and public awards. He donates a generous portion of his time on several nonprofit, industry, and educational boards and organizations. Rick is a graduate of Fordham University.